Formerly Joy Paris Inc. Realtors, RE/MAX Lake Granbury was formed in June 1987 with the express mission of providing the very best professional real estate services to its clients and customers. The company remained under the name of Joy Paris Inc. until June 1998. 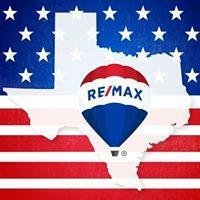 At that time, Joy Paris Inc. purchased a RE/MAX franchise for the Granbury area, thus the new name RE/MAX Lake Granbury. The original staff, consisting of 4 of Granbury's leading real estate professionals has grown to 18 full-time Realtors, a contract-closing coordinator and three secretaries. These days, the company operates out of an attractive 7,000 square foot company-owned facility, conveniently located at 4810 E Hwy 377. Each agent has a large, tastefully decorated private office. Prospective clients and customers immediately feel at home in the warm comfortable home-town atmosphere.